S & K Door and Specialty Company, Inc., has been providing industry-leading garage door products, sales, installations, and quick and efficient service to the Starkville area for over 46 years. We strive to provide both the homeowner and the contractor with the best garage door value and product expertise necessary to make the most informed purchase decision possible to fit your needs. As a testament to our professionalism and dedication to superior business practices, we are proud members of the International Door Association (IDA), Accredited Door Dealer (IDEA), Mississippi Manufacturers Association, Mississippi Economic Council, Associated Builders & Contractors, Golden Triangle Home Builders, Greater Starkville Development, and Columbus Development Link. We proudly offer the exceptional quality and unique style of Raynor Garage Doors, including the very popular steel residential doors. 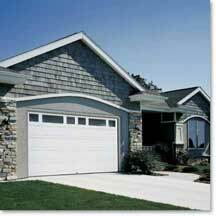 When you select a Raynor product, you are not only getting a superior garage door that will add beauty and value to your home or business, but also professional installation and experienced service. For more information about us and our extensive product and service line, we invite you to explore this Web site. Better yet, give us a call at 662.323.6381, where you can speak with a member of our knowledgeable staff, not a machine. You may also visit our showroom at 4085 Hickory Grove Road, Starkville, Mississippi, 39759.